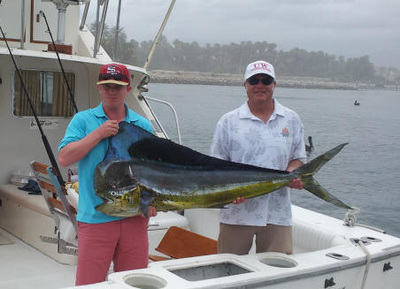 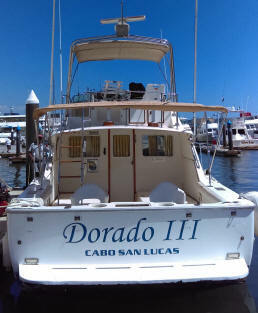 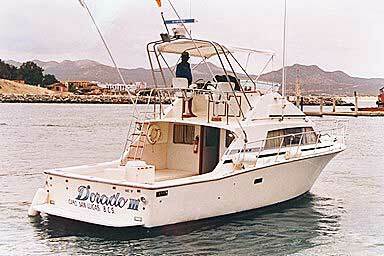 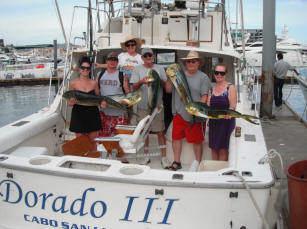 ​One of Cabo's best twins, newer model Bertram equipped twin turbo Cats, Penn Intl. 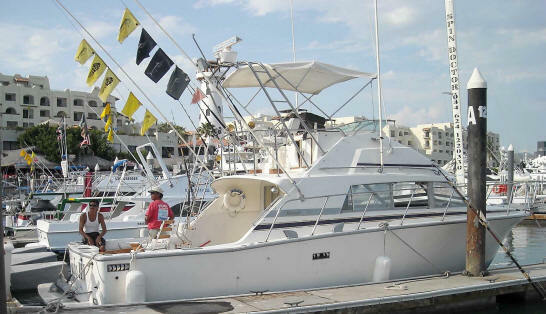 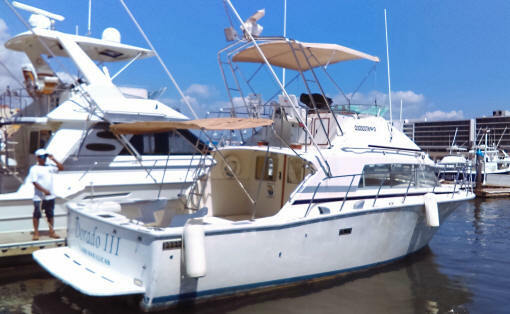 Gear, outriggers, large flybridge with forward seating in front of the helm for comfort and visibility, built-in transom live bait tank & tuna tubes, recently added Two Fighting Chairs and Shade, large padded seating on port & starboard sides to sit or lay down, shade & restroom, VHF radio, plus Captain "Julian" has placed 1st in several of Cabo's tournaments. 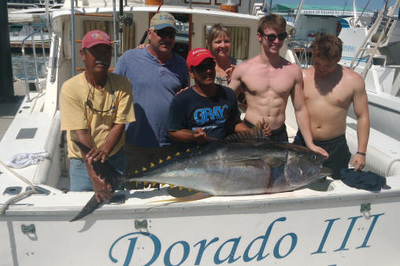 For serious anglers, this is your boat & crew!